While I have playing the saxophone upwards of 12 years now, I have only been getting professionally paid gigs for a little over half that time. While a majority of these gigs were with various jazz groups, I have also played R&B, funk, classical, and Pop-rock gigs. I currently play with the bands: Happy Medium Band, Lord Gord and the Posse, and JB and the Showmance Band. While the professional scene for classical saxophone is limited, there have been a few times where I have played with a classical saxophone quartet as well. So although my professional career may seem unimpressive compared to some who can boast decades of performances, my experience with varieties of music genres has brought, and continued to bring me, a wide variety of gigs in various styles. Starting at the beginning of my high school career, I would give saxophone lessons to middle school and elementary school students. As time went on, I received other students from different ages. During my last two years of high school, I was put in charge of the baritone saxophonists and bass clarinetists in my high school's marching band, teaching parts and organizing activities. My last year of high school, I was put in charge of all woodwind players in the marching band, which consisted of over 50 students. Managing productive rehearsals in the time allotted, was a skill I acquired and refined in both of these positions. By teaching students in a group this big, I feel like it has led me to give the efficient and productive lessons I give today. Most recently, I was given the opportunity to teach for a week at the prestigious Idyllwild Arts Summer Jazz Program, which is the largest Summer Jazz Camp in the United States. I also have previously worked as a saxophone coach at William Workman High School and Upland High School. I currently work as a saxophone coach at Goddard MS and Sandberg MS, in addition to giving clinics and masterclasses to nearby schools. Additionally, I started teaching as a clarinet and saxophone teacher at the SOMA music academy in Diamond Bar, CA in October 2018. 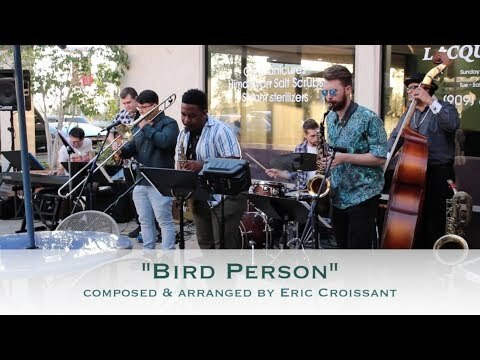 "Bird Person" is an original composition by Eric Croissant written for one of the groups he performs with, "JB & the Showmance Band." 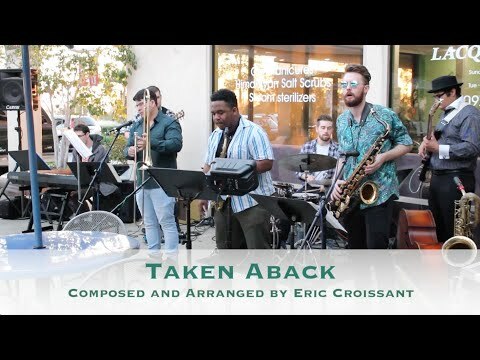 "Taken Aback" is an original 'Funk-Jazz' fusion song by Eric Croissant, from his album "ColorsAround." A picture from a photoshoot back in January 2018 over in Thousand Oaks, CA. 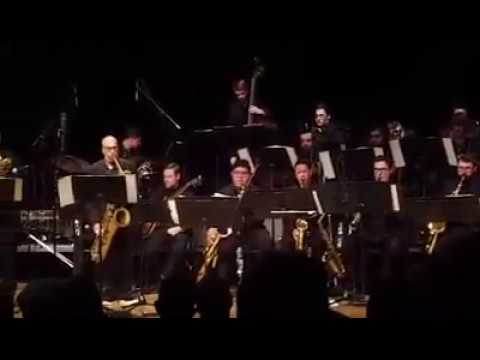 A picture from the "Battle of the Big Bands" concert, featuring the APU Jazz ensemble and the Citrus Blue Note Jazz Orchestra. Eric singing at APU's Fall 2014 Vocal Jazz Concert. On November 4th 2016, Eric had the amazing opportunity to play a duet with Jazz Legend Gary Smulyan. 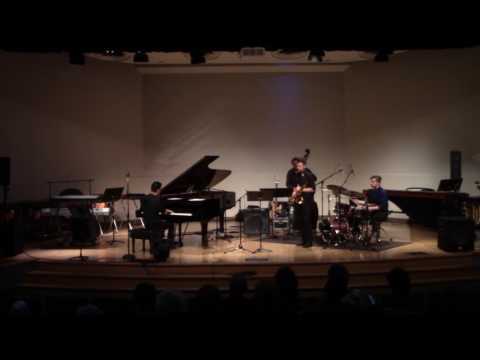 "A Night in Tunisia," from a friend's Senior Recital that features Eric on the tenor saxophone. Another photo from a photoshoot in June 2017. This was taken up in the Mountains above Upland, CA. 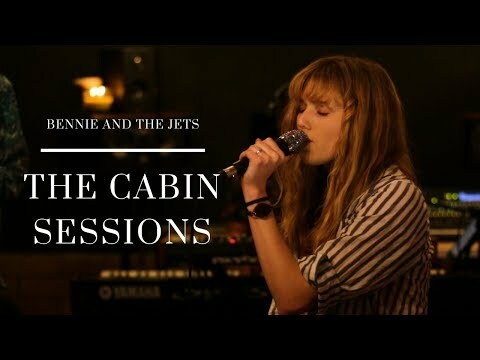 When Eric asked his friend what he wanted the saxophone to do on this arrangement, he said, "just go crazy," and this was the result! Another pic from the 'ColorsAround' album release concert on Aug. 1st 2018! Picture from a photoshoot in Thousand Oaks, CA. January 2018. Eric is an excellent teacher. I signed up for classes to help my grandson improve his skills. I would recommend Eric to anyone needing lessons. Very knowledgeable and works well with what you know. Understands what the student needs and wants and will work towards achieving those goals. My daughter really enjoys her flute lessons with Eric. He makes her feel comfortable and confident. She even likes the fact that he gives her homework! He listens to me and teaches the way that I like. He seems like a good person as well. I recommend him for a saxophone teacher. Friendly, respectful made learning fun for our son. I got a free Alto Sax from a former coworker, and after several years of not having played Clarinet, I felt I could use some guidance from an awesome woodwind doubler like Eric. The convenient part for me was that he's one of my good friends! I can say both as a student and a friend that Eric is a consummate professional, and is incredibly qualified to teach students of any level how to play the Saxophone. If I had 1/3rd of the Sax chops that Eric has, I'd be gigging right now.